In today’s Crypto post, we shall be talking about a newcomer in the crypto world that’s making waves and showing a whole lot of prospects. The coin under our beam light today is the Bitcoin Cash (otherwise BCH). 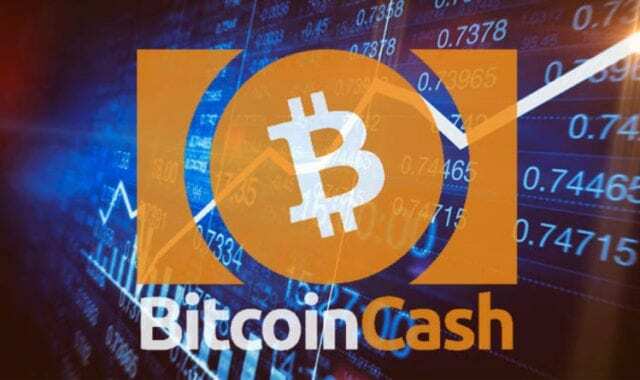 Now, if perhaps this is your first time hearing the term “Bitcoin Cash”, I might as well use this opportunity to enlighten you that it is not the “cash you make from trading Bitcoin”, neither is it “Bitcoin in raw, physical cash”. However, if it is any compensation, you might be excited to know that if you thought “Bitcoin Cash” was in some ways related to the original “Bitcoin”, you were right. Bitcoin is one of the most popular cryptocurrency at the moment. Being the pioneering coin in the crypto planet, Bitcoin sure came with its unique features and perks. BUT, things can, and will, always be worked and improved on. As the popularity, demand, and trade of Bitcoin grew, there were some setbacks and limitations that users faced – particularly scalability and transaction confirmation speed. Hence, to solve some of the issues Bitcoin faced, a new crypto was borne out of the model of Bitcoin, but this time, with some modifications. Bitcoin Cash was created on August 1, 2017, following the “hard fork” of the classic / original Bitcoin. Don’t get the technical terms and jargons confuse you. Hard forking Bitcoin to create Bitcoin Cash increased the sizes of block in the network from 1 Megabyte to 8 Megabytes, allowing more transactions be processed in less time than Bitcoin classic – which is the basic goal of the Bitcoin Cash crypto. Demystification: Think of “Hard fork” as an irreversible modification/ improvement. Need more detail on what “Hard fork” stands for, check out this resourceful article we found on it. Really, BCH is a big deal of a cryptocurrency. It is currently (according to market capitalization rating of May 2018) the 4th biggest coin in the world and trades for more than a thousand USD per coin. For a crypto that is less than a year old, that is some interesting upswing. Recently, the BCH underwent another “hard fork” which increased the block size from 8MB for a frigging large 32MB. This will, and should, translate into next to instant transaction rates and reduced transaction cost/ fee. In addition, with the recent hard fork also came Bitcoin Cash “Smart Contracts”. One of the possible drawbacks likely to arise as a result of the frequent increment in block size is “spamming”…which the BCH developers seek to prevent with “Satoshi Op-codes” – more like a tool to help developers create smart contracts. How do I get BitCoin Cash (BCH)? Like other cryptocurrencies, there are basically 2 ways to getting Bitcoin Cash: Mining, or buying it. Or perhaps you have a rich uncle who decides to gift you some for your birthday or graduation. Since Bitcoin Cash is based (partly) on the same model that Bitcoin classic is built on, there is also a finite number of Bitcoin Cash that can also be mined. This number is pegged at 21 million but there are arguments that since Bitcoin Cash is constantly being hard forked, the limit could be extended to a higher number. But it probably wouldn’t. The mining process of Bitcoin and Bitcoin Cash are quite similar, only with some little differences. First, mining Bitcoin Cash requires lot more investment than mining Bitcoin; since BCH has bigger block size, more computing resources and power is needed. If you do not have these resources, it is advised you join a mining pool. A BCH mining pool consists of a number of individuals interested in pooling resources together to solve BCH mining puzzles. Reward in the pool is shared on the basis of the level and portion of computing power contributed by each member. Successfully solving a puzzle means a block of transaction on the Bitcoin Cash network has been completed and the 12.5 BCH reward is allotted to the winner. How big the pool is? How often does the pool crack a puzzle/ block? Mining fees the pool charges, etc. Joining a mini pool is super easy. After finding a perfect pool to join, all you basically have to do next is sign up on their website and setup your account. To track your mining activity and contribution, you will be given a “worker ID”. Here are some of the popular pools to join to mine Bitcoin Cash; BTC.com, Bitcoin.com, AntPool, BTC.top, Genesis Mining, HashFlare F2Pool etc. The point of mining Bitcoin Cash would be to trade them for some money, or other cryptos, right? Or you might just be interested in buying (investing in) some Bitcoin Cash to hold and hope the prices shoot through the sky in the later days or months. Got a wallet? Good. Now you can proceed to selling or buying Bitcoin Cash on exchanges that trade BCH. Here are some of the best BCH exchanges; CEX.io, BTCBOX, HitBTC, Changelly, ShapeShift, Kraken and Poloniex. All exchanges listed above support the deposit, withdrawal, and trading of Bitcoin Cash for cash or another crypto coin. Let’s hear from you. Ever traded Bitcoin Cash before? How much do you know about BCH? Got any suggestions, corrections or questions? Hit us with it in the comments box below.